Hello friends! Time is flying by and this pregnancy is almost over (38 w 5 days to be exact). It’s been a whirl wind of orders and holiday planning and finishing the nursery. 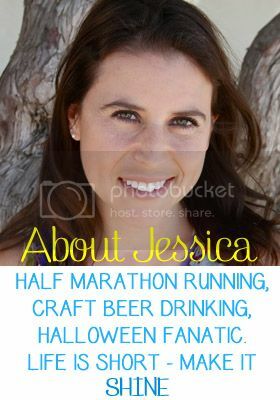 It’s about time I finish up my previous race recaps so that I’ll be all caught up when I can start running again SOON! 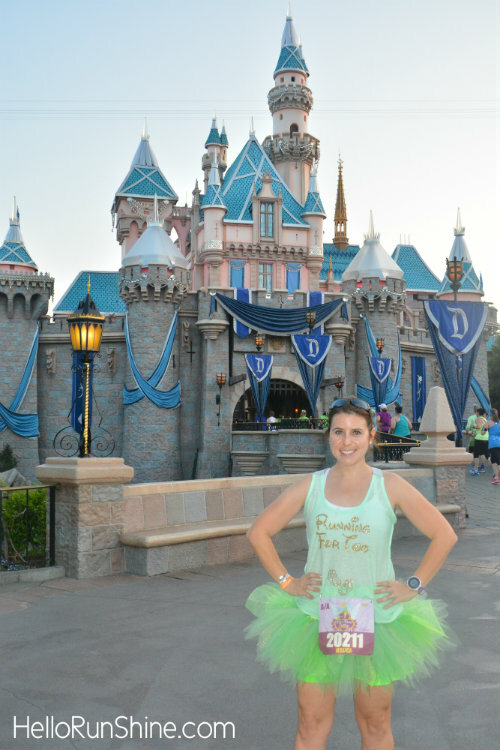 The Tinker Bell Half Marathon weekend (geeze, only five months ago now) was quite a bit different from the Star Wars weekend in that I had a tiny running buddy tagging along with me! So the major changes were 1. no celebratory whiskey shot after the races, 2. no time in the parks since I couldn’t go on most rides, and 3. I incorporated walking intervals into my race plan. It was still an amazing weekend! I really enjoyed staying on property the entire time at the Disneyland Hotel (probably my favorite hotel so far due to the nostalgic feel and the proximity to the expo). I felt very at ease meeting up with several social/running groups including some awesome people from the runDisneyrun community. I also loved my two costumes and had so much fun announcing the pregnancy in that way. Because so much time has passed since this race, instead of writing out many more details I’m going to instead share my favorite pictures. 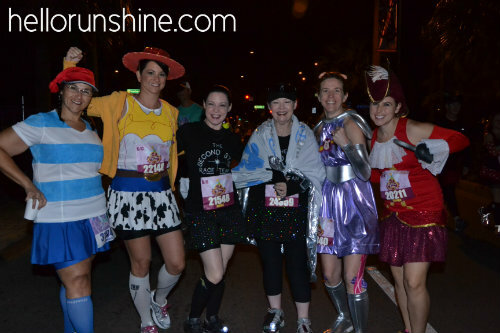 This was my first pre-race meet up with some fellow costumers! 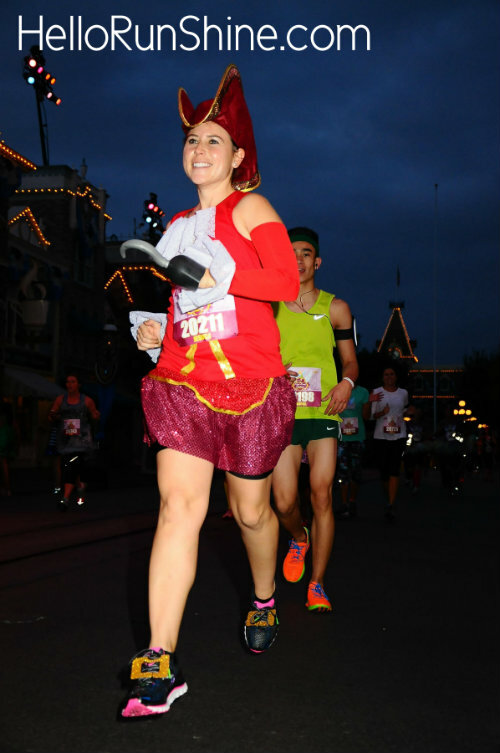 I’m so glad the Marathonphoto photographer was there to snap this picture. I think I was giddy with excitement walking up to corral A that morning. 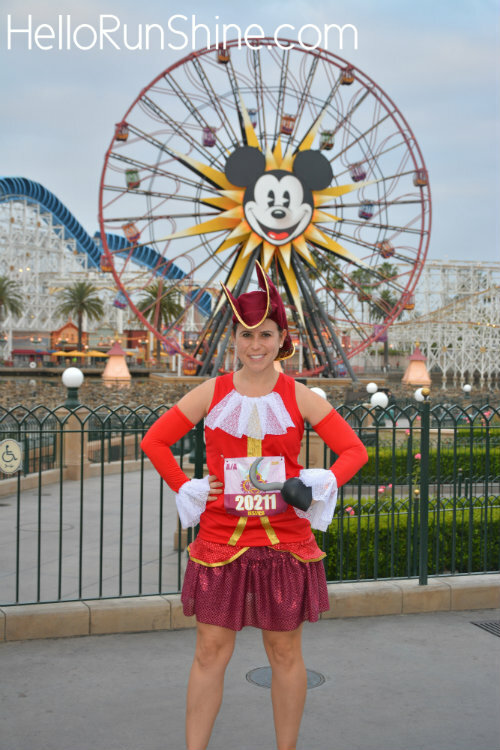 What a different experience from starting in the back at my previous runDisney races! 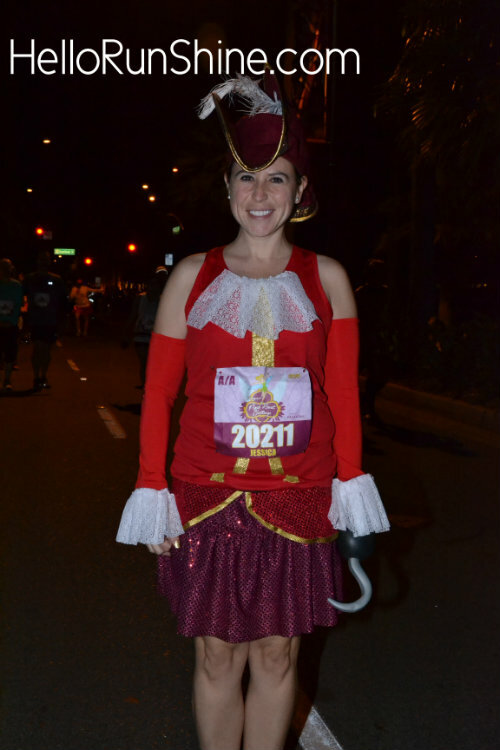 I love the “still dark outside” pictures from this race, especially this one that shows off my gold shoe buckles (made from glittered cardboard). 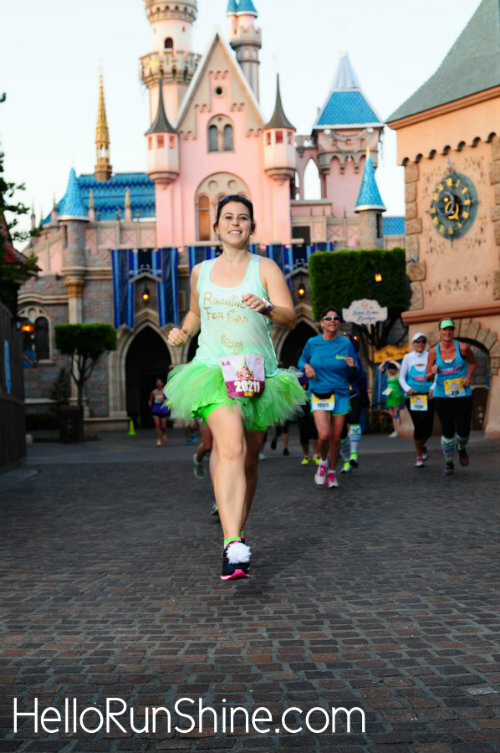 A little Disneyland race photography tip – there is almost always a photographer set up on the side of the castle as you run around it. It’s a great place to stop if the lines in front are too long. The course details are already fading from my memory. All I know is that I loved how much park time was in this route! Finisher! I tried using my hook to show off the 13 week baby bump. 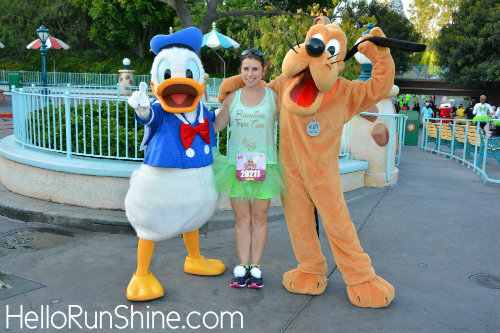 For the half marathon, I decided to stop for as many characters as I could! As an adult I always feel really silly posing for these types of pictures but for once I decided to embrace it. This has to be one of my favorite race pictures to date. I love how the castle is all decked out in its Diamond Celebration glory. You gotta love pictures where you look like you’re flying! Baby Girl #2 and I proudly showing off our Pixie Dust Challenge bling! All in all a fantastic experience. 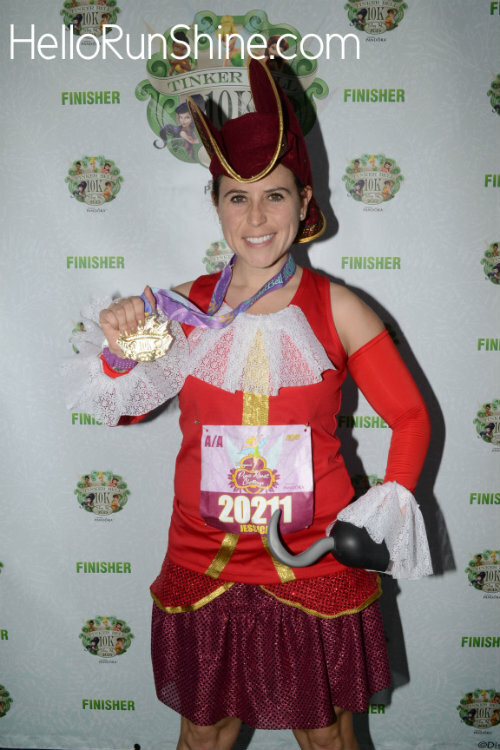 I know there can be a lot of criticism of the women-centric runDisney races, but I had nothing but great things to say about the weekend and I can’t wait to come back in 2016. 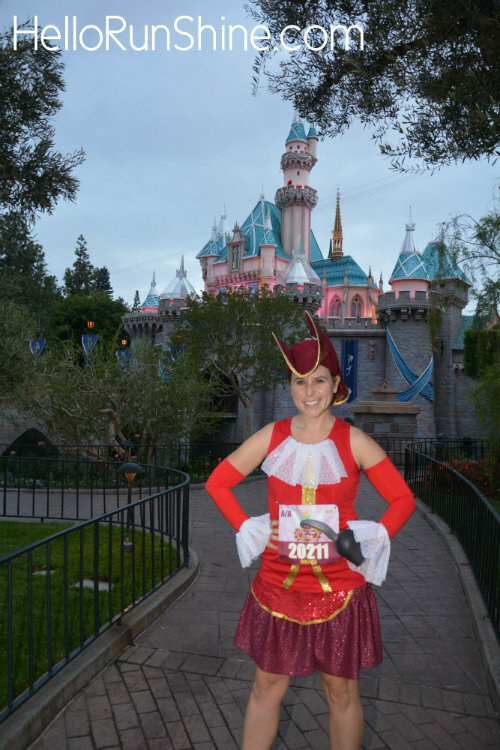 Categories: Race Recaps, runDisney | Tags: Disneyland, runDisney, running costume, running for two, TinkerBell 10K, Tinkerbell Half Marathon | Permalink. By now it’s probably no secret that I’ve had a very special running buddy joining me for the last 20+ weeks! I decided to share the news officially on my blog and all social media outlets so that I can talk about it openly. Baby number two will be making HER debut sometime in early November! 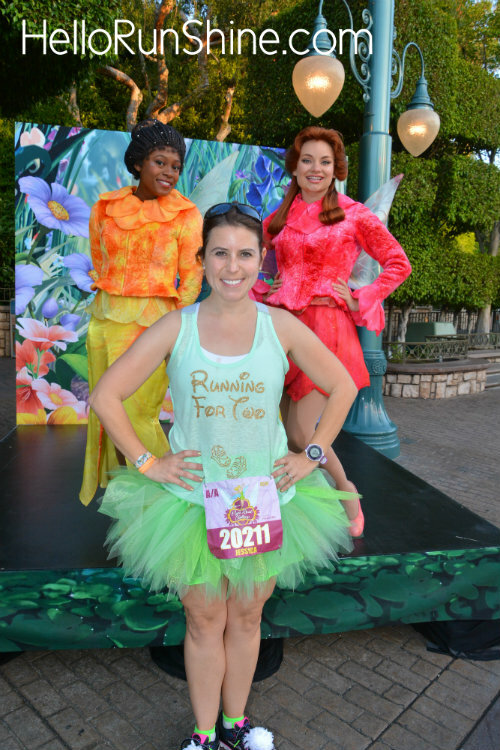 Homemade “Running For Two” shirt at the TinkerBell Half Marathon! Running while pregnant the last few months has been quite an eye opening experience. While I tried my best to stay active through my first pregnancy, the fear of the unknown may have stopped me from exercising way sooner than necessary. This time my goal is to keep going as long as I safely can, and that includes long runs. So far I’ve run three half marathons (one in my first trimester and two in my second), a 15K, and a 10K. Although I had to do little adjustment at first other than taking some walk breaks every half mile or so, around 17 weeks I slowed waaaay down. I’m now doing true run/walk intervals (currently 2:30/30) and my longest run this past month has been about four miles. It’s not that running is too difficult yet, but I admit it is hard to go out for a “quick” training run knowing it is going to take 40% longer than it usually does. The recovery process is definitely getting more challenging as well. In the future this might be beneficial because it will force me to develop better habits instead of rolling my quads for 30 seconds and calling it a night. Ideally I would still like to participate in the Beat the Blerch virtual race I signed on September 12. I know, I know, virtual races can be completed at any time. This one last realistic goal for this pregnancy will hopefully help me stay on track and keep up my fitness level as much as possible until baby girl #2 joins us in November. Once she’s here, I plan to hit the ground running! 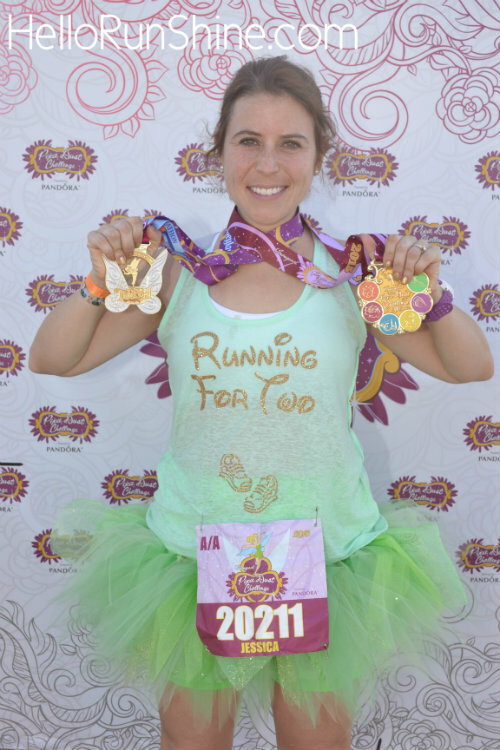 I’d love to hear from experienced mamas who continued running throughout their pregnancy! Please feel free to share your stories, tips, and words of wisdom. 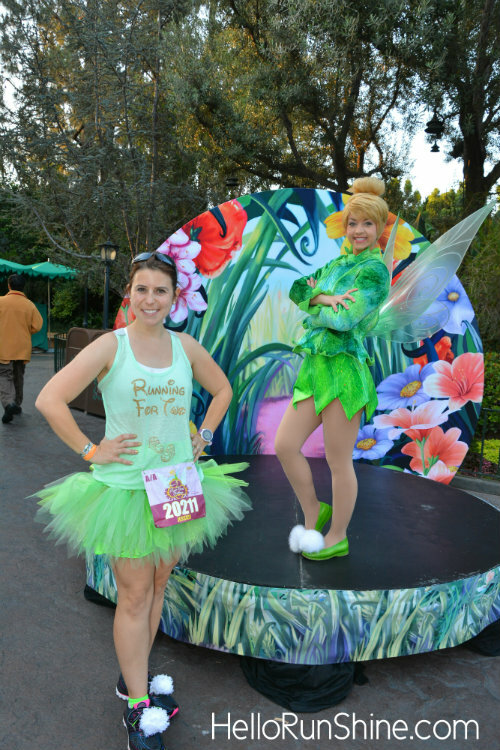 Categories: Running | Tags: running, running for two, Tinkerbell Half Marathon | Permalink.